Provides mirrors for the examination of the fundus and the anterior chamber angle. 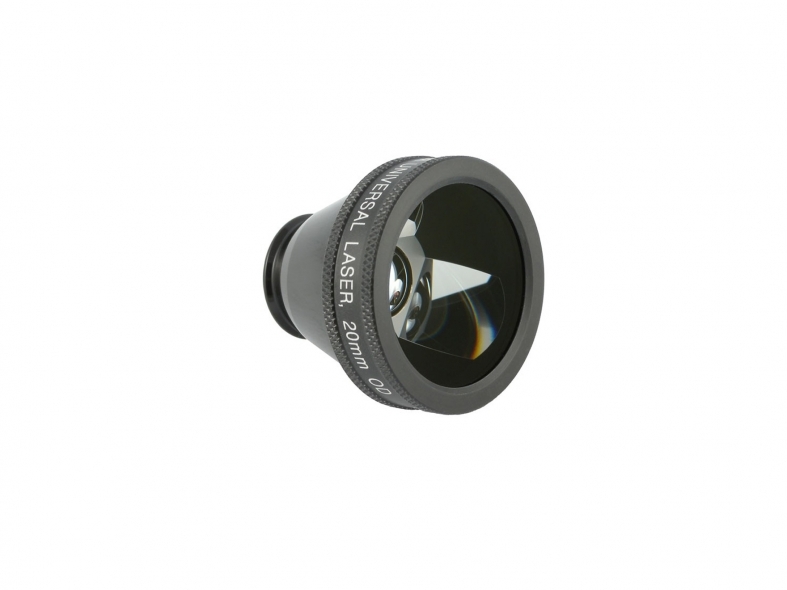 Steam sterilizable universal ophthalmic lens prism. High index glass design. Mirrors maintain total internal reflection as if they are coated. One 64° Gonio mirror and two fundus mirrors, 73° and 67°. Fundus images overlap, no “blind spot” in fundus field. Methylcellulose not required. Cleaning Method 3. Gonio mag .61x.